François Xavier Granottier was born in Val Fleury in the Loire Valley, France on October 5, 1836. He studied the classics and philosophy at the College de l'Argentière. He also studied at the Grand Seminaries of Algiers (North Africa) and Viviers in France. Granottier was ordained a priest on May 18, 1862 and arrived in Canada three months later. 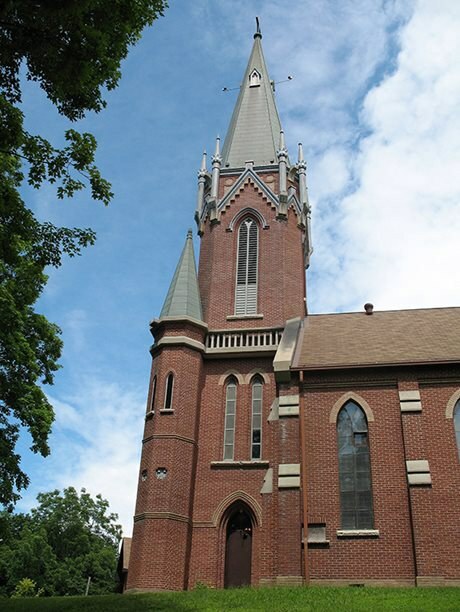 Father Granottier built eight churches in the Grey-Bruce region, the largest being St. Mary of the Assumption Roman Catholic Church (1871), which was modelled after the medieval parish church of his hometown in France. Some of his other churches included Irish Block in Meaford, Chatsworth and Cape Croker. He died in Owen Sound, Ontario, on March 2, 1917.